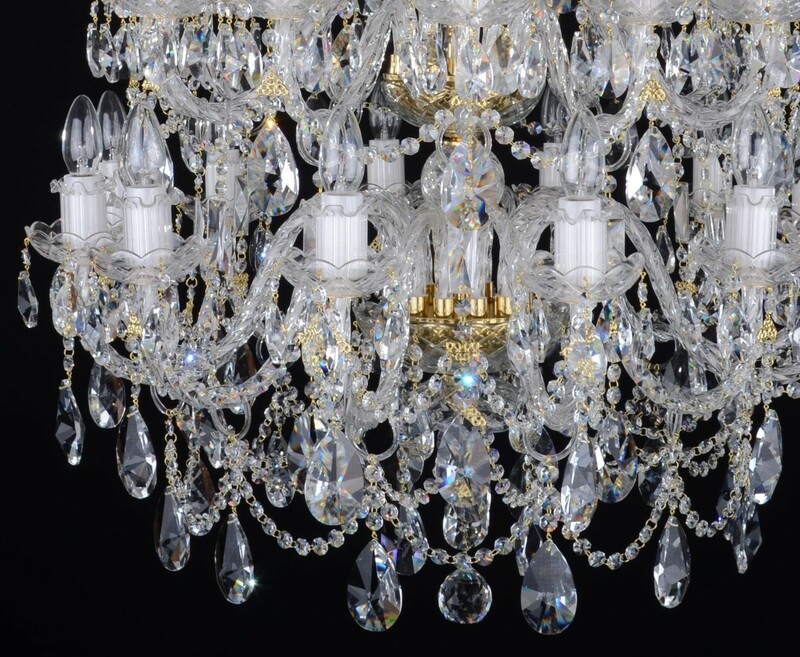 The densely decorated chandelier with crystal almonds and crystal chains. 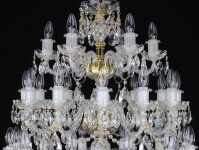 The chandelier consists of 12+12+6 twisted glass arms in three tiers. 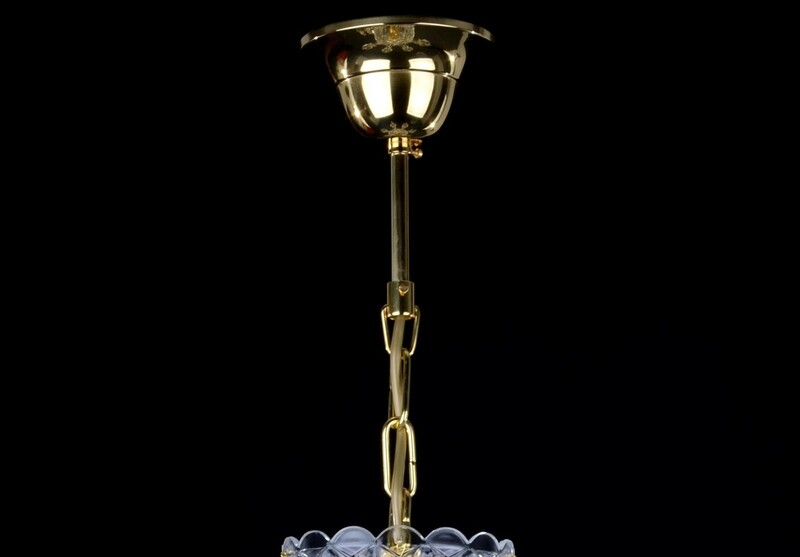 The glossy brass parts. 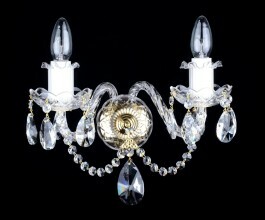 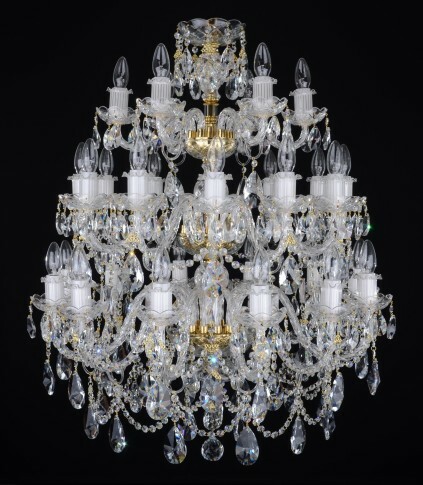 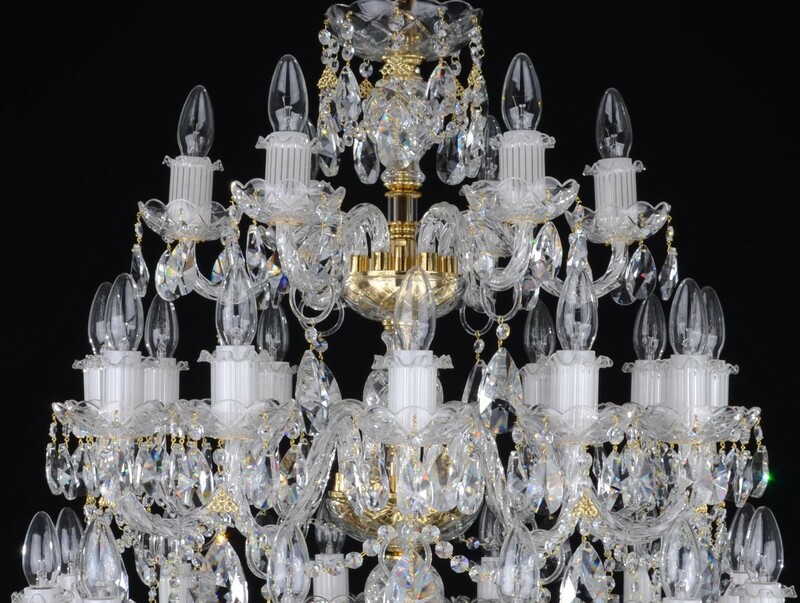 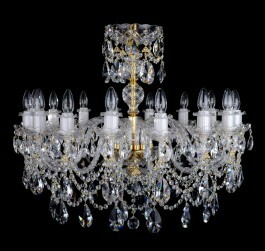 The design glass crystal chandelier with 30 twisted glass arms. 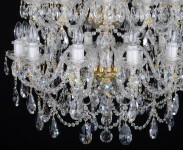 Trimmings: Cut crystal almonds and crystal chains. 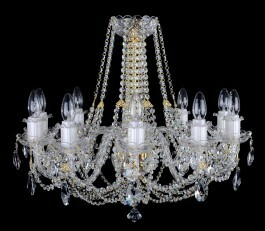 Dimensions (W x H): 80 x 98 cm/ 32.7"x40"